Wondering when your baby should start solids? We review the evidence on the 4 months vs 6 months debate. It’s that time. Your baby is ready to start solids. Yes, they’re still a big milk fan, but they’re on the hunt for something more. They want texture, they crave flavour and most of all, they want to throw their food halfway across the room to prove their independence! So, your babe is ready and you’re ready, but the real question remains. Is it safe to start now? Should I start at 4 months, 6 months, somewhere in between? Let’s see what the evidence says about the best time to start solids. What The Current Guidelines Say on When is The Best Time for Baby to Start Solids? A statement by Infant Feeding Joint Working Group made out of prominent groups including Health Canada, Canadian Paediatric Society, Dietitians of Canada and Breastfeeding Committee for Canada recommends breastfeeding exclusively for the first six months and continuing (if possible) for up to two years. The UK and USA also recommends starting solids at the six month mark. Why can’t babies just live on milk for life? Well, while breast milk and formula are highly nutritious, around the 6 month mark, babies start to need more iron and zinc in their diet, which can be supplied by adding some iron-rich foods. This is what we call “complementary” feeding. In other words, you’re not supposed to stop giving breastmilk or formula at the 6 month mark, but it’s time babe gets a little more in their diet. Okay, so those may be the official recommendations, but what are moms really doing? Here are the stats. Data from 2011-2012 found that 26% of mothers in Canada breastfed exclusively for six months, and 51% of exclusively breastfed for four months. Further, 11% of Canadian infants consumed solid foods at three months or younger, 32% at four to five months and 57% began eating solids at six months. In the US, 25% of mothers breastfed exclusively for the first six months and 47% for the first three months. They wanted to keep their baby asleep longer at night. So what are the implications of starting solids at different times in baby’s life? Let’s take a look. 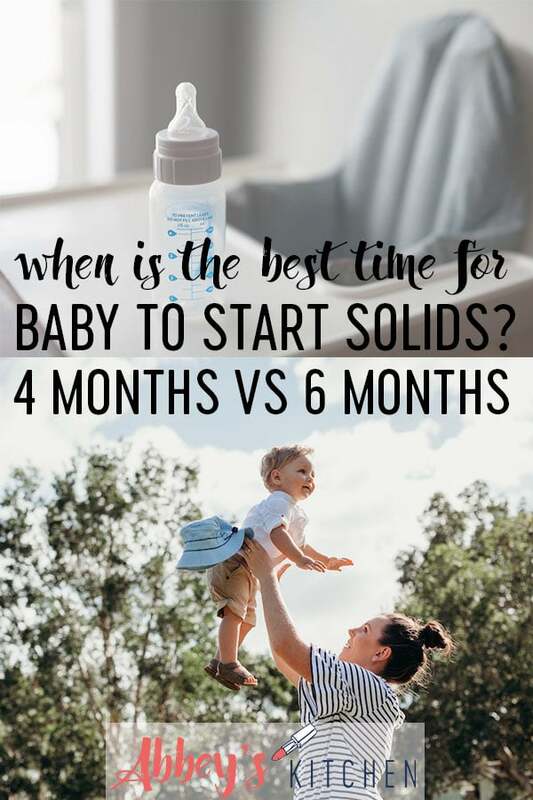 So we’ve established that starting before 4 months may not be the best idea for your baby’s health, but what about starting solids AFTER 4 months but BEFORE 6 months? 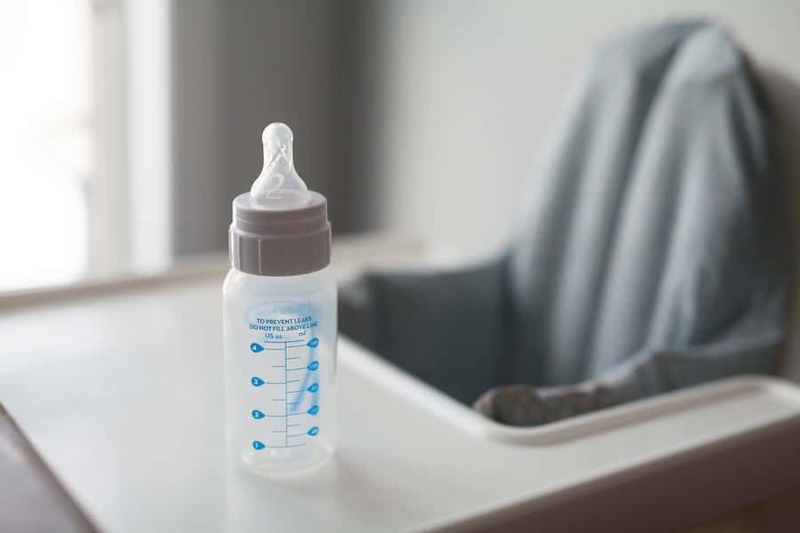 Since 2001, the WHO has begun recommending exclusive breastfeeding for the first 6 months of life, but there is still a huge debate in pediatric circles about the potential benefits and risks of starting a bit before. Let’s take a look at some of the health implications of when babies start solids. Early evidence suggests that there is a critical early development window between four to six months of age when food allergy risk can be reduced. The LEAP study looked at infants who were at high risk of a peanut allergy and found that children who were introduced to peanuts early (between four and eleven months) had decreased frequency of developing peanut allergies compared to infants who avoided peanut introduction (until five years of age). Based on findings from the LEAP study, there are updated guidelines for introducing peanuts based on risk. Infants not at risk of peanut allergy should be introduced to peanuts freely when starting solids in accordance to family preferences and cultural practices. Another study showed that introduction of a cooked egg around four months of age may protect against egg allergy, while research suggests that exposure to the top 8 allergens after six months may increase risk. Bottom line: There seem to be benefits to starting solids between 4 and 6 months for allergy prevention, particularly in children with higher risk of food allergies. Despite a lot of moms and pediatricians citing their baby’s low body weight (and concern for weight gain) as a reason to start solids early, the research to date suggests that starting solids at 4 months vs. 6 months has little to no effect on growth for babies who are simultaneously breastfed. A study in the USA from 1998 found that there were no differences in growth and body composition in infants who started solids at 6 months compared to 4 months. Meanwhile, studies from Iceland in 2012 and 2014 found that infants exclusively breastfed for 4 vs 6 months didn’t show any significant differences in growth, body composition, energy intake. They also did not have any different risk of being overweight or overweight in childhood. 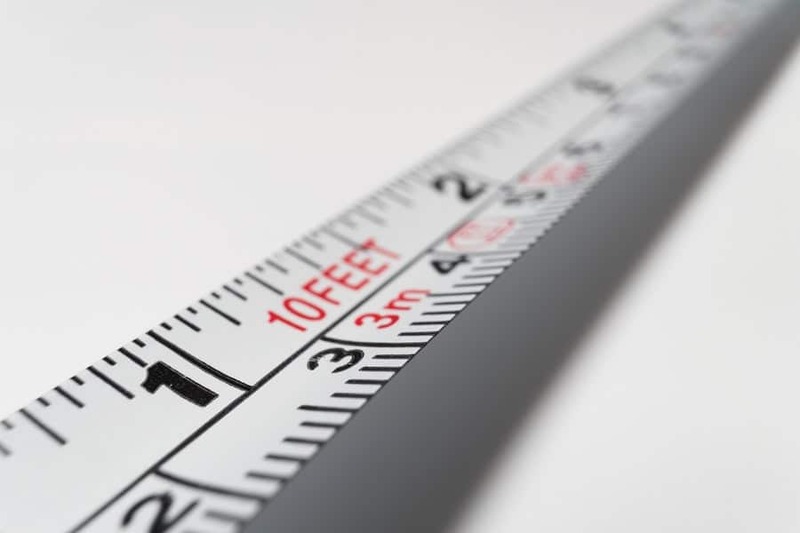 Likewise, a study from Honduras also found that there were no differences in weight and length when comparing babies who were introduced to solids at 4 vs. 6 months of age. But what about the concern on the other end – that starting solids early will contribute unnaturally to the risk of “obesity”? Unlike the literature showing that starting solids very early (before 4 months) is linked to a higher risk of “obesity”, a systematic review concluded that there were no clear associations between the timing of the introduction of complementary foods and childhood overweight or “obesity”. In fact, a study from Copenhagen also found that introducing solids before 6 months was protective against children gaining weight later on in adulthood. Bottom line: Based on the evidence we do have, introducing solids sometime between 4 months vs. 6 months found likely has little impact on their growth and body weight potential. Babies are incredibly intuitive and will self-regulate their intake to get the calories they need. So if they don’t get it from solids, they’ll make up for it in milk, or vise versa. Considering that breastfeeding does burn calories, research (here and here) found that moms who breastfed for at least six months lost more weight compared to women who did not breastfeed, or breastfed non-exclusively. Unfortunately, the effects are generally small. 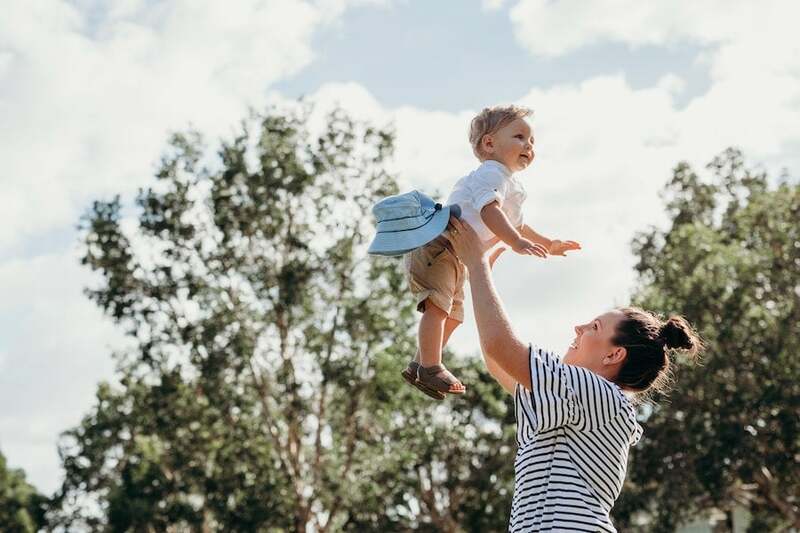 Another outcome for mothers is that those who breastfed for at least six months have prolonged lactational amenorrhea, which may or may not be a benefit depending on your family planning goals. Bottom line: We don’t have any research to date that compares the weight loss potential of women whose babies start solids at 6 months compared to somewhere between 4-6 months, but I would assume the effect would be negligible, especially considering that when solids are first introduced, most of your babe’s calories are stilling come from breast milk. We know that there are a lot of powerful benefits to breastfeeding as it relates to immunity that have informed the authorities recommendation to exclusively breastfeed until 6 months. Babies have developmental delays in their immune systems and breastfeeding provides defense agents which provide protection against infections. Not surprisingly, a systematic review showed that infants exclusively breastfed for six months saw a 50% lower incidence of GI infections. 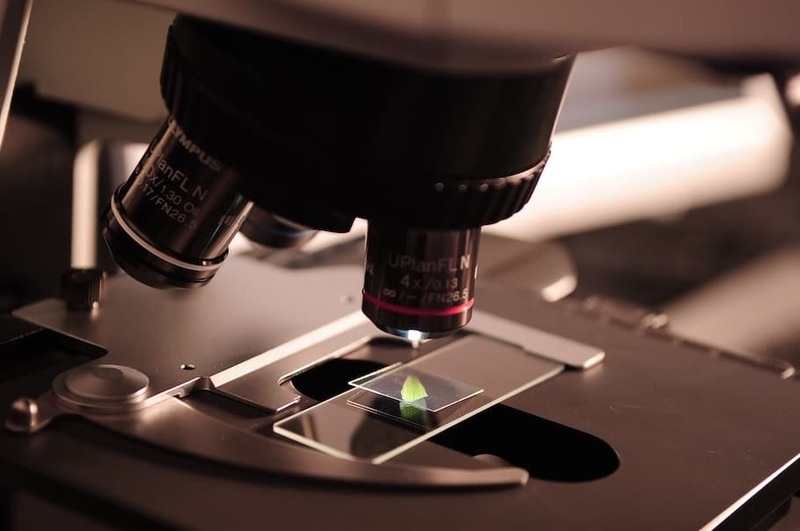 While this may sound really impressive, it’s important to note that the magnitude of this effect is exaggerated by the fact that half of the studies included looked at infants in third world countries where prolonged breastfeeding would protect against food safety concerns. A little closer to home, one study out of Belarus also found that infants breastfed exclusively for 6 months had fewer GI infections compared to infants weaned at 3 months. Again, this makes some sense since no authority recommends starting solids before 4 months. In the UK, the risk for GI infections did not significantly vary for infants according to the age of starting solids. While in the US, exclusively breastfeeding for at least 4 months reduced the risk of respiratory infections by 72%, and exclusively breastfeeding for 6 months led to a fourfold decrease in the risk of pneumonia. The US study also found that any breastfeeding is associated with 64% decrease in GI infections suggesting that there are benefits regardless of when you introduce solids. Bottom line: Evidence suggests that exclusive breastfeeding for 6 months is protective against infections and that any length of breastfeeding is protective against GI infections. The protective effects of delayed introduction of solids may be more important in developing countries where food born illness risk is significantly higher. There was been talk in some circles about the research linking the timing of introducing solid foods to the risk of autoimmune disorders. 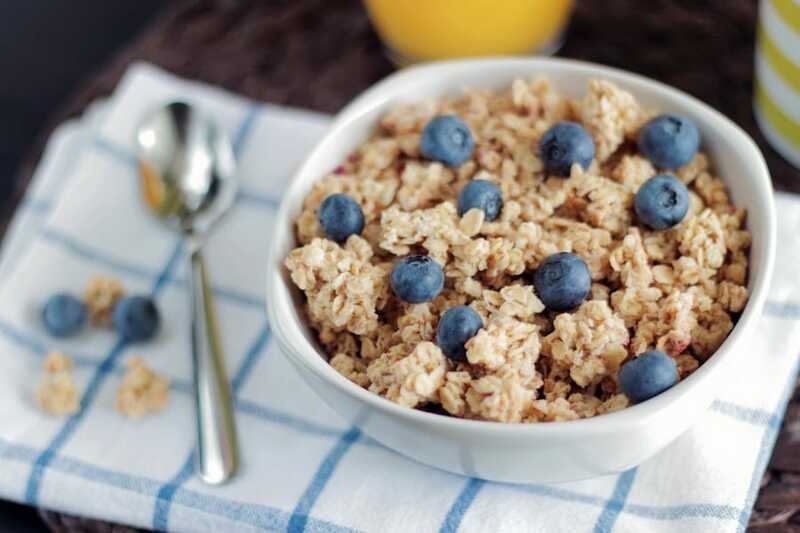 A large epidemiological investigation of children at risk for type 1 diabetes found that exposure to cereals (rice, wheat, oats, barley, rye) that occurred early (less than four months) or late (more than six months) resulted in a significantly higher risk of diabetes compared to introduction between 4 and 6 months. Another study in Colorado found that early (before four months) and late (more than 6 months) introduction to any solid foods was related to development of type 1 diabetes. The safest age to introduce solid foods for babies at risk for type 1 diabetes was identified to be between four and five months. Breastfeeding while introducing new foods may also reduce risk of type 1 diabetes. 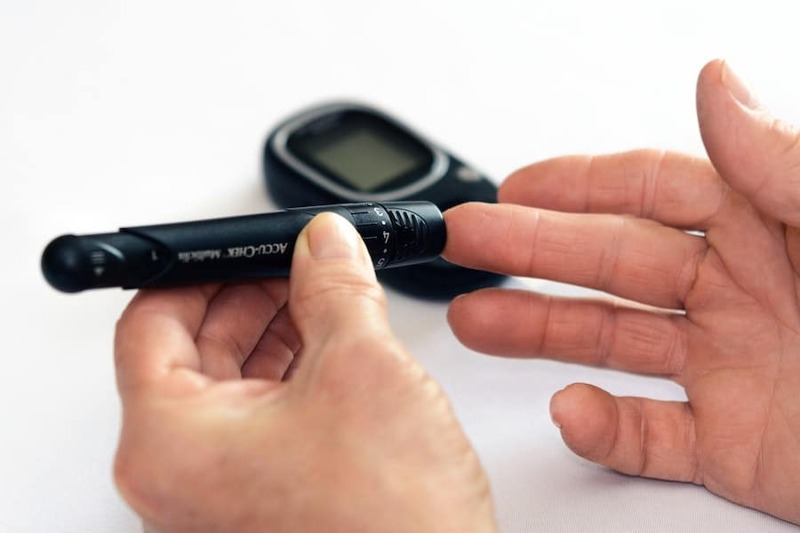 Bottom line: Evidence suggests that there is a U shape curve when it comes to risk related to Type 1 Diabetes and that starting solids before 4 months or after 6 months may increase the risk. There may be a sweet spot then around the 4-6 month window when the risk of Type 1 Diabetes is lowest. Celiac disease is a hot topic with the rise in gluten-free foods, but can the timing of starting solids play a role? A 2015 study found that introducing gluten at 4 versus 6 months resulted in similar rates of celiac disease in children who were considered higher risk. This finding also held true for kids who were not at a particularly higher risk. 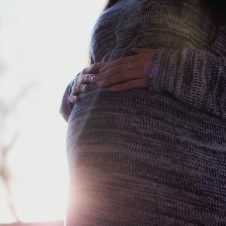 Meanwhile, in a 2005 observational study, researchers observed a U shaped curve when it came to celiac risk, suggesting that babies introduced to gluten in the first 3 months of life or by the 7th month or later had a higher risk of celiac compared to babies introduced between 4 to 6 month period. 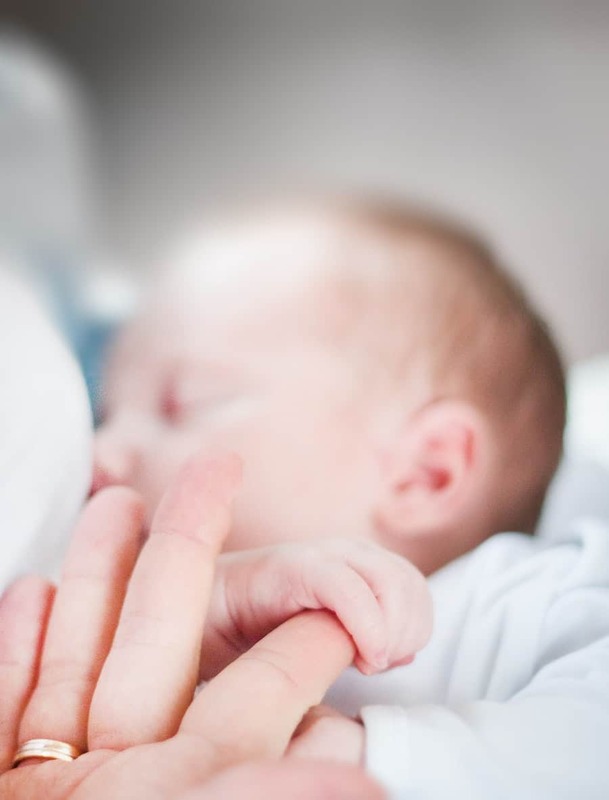 Adding more support for the role of breastfeeding while introducing solids, additional research found that there was a 50% decrease in risk of developing celiac disease when babies were breastfed at the time of gluten introduction. 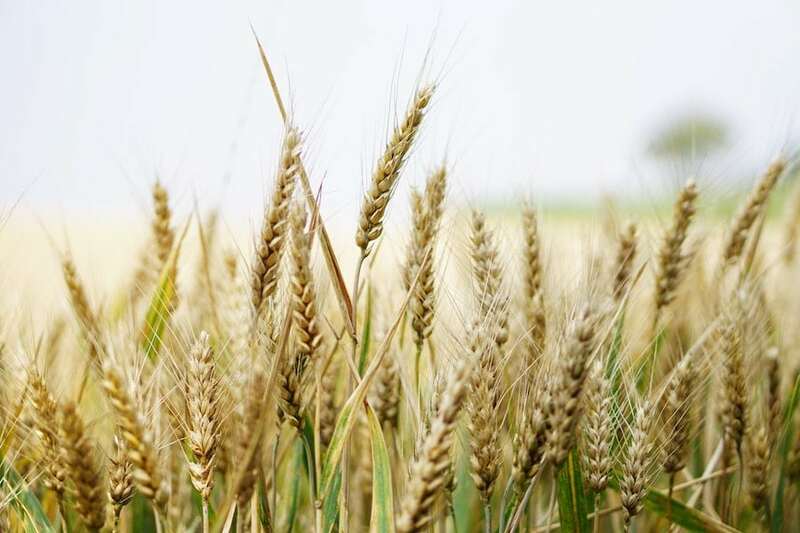 Bottom Line: Evidences suggests that introducing solids between 4 and 6 months decreased the development of celiac disease compared to the introduction of gluten at 3 or at 7 months. Therefore, it seems best to introduce gluten somewhere between 4-6 months. Studies suggest that mixed fed infants (breastfed and solids fed) tend to have much higher levels of iron in the blood compared to exclusively breastfed infants, likely because it’s recommended that parents start babies on iron-rich foods. Based on this finding, another study concluded that breastfed infants introduced to solids between 4-6 months have a lower risk of anemia. Bottom Line: Breastmilk alone is insufficient in iron for babies by around the 6 month mark, so iron-rich foods (like infant cereal, meat, and beans, for example) are good complimentary foods to introduce. There may also be benefits to beginning these foods slightly before the 6 month mark (if not, at least at the 6 month mark) to help build up these iron stores but more research is likely needed to confirm. 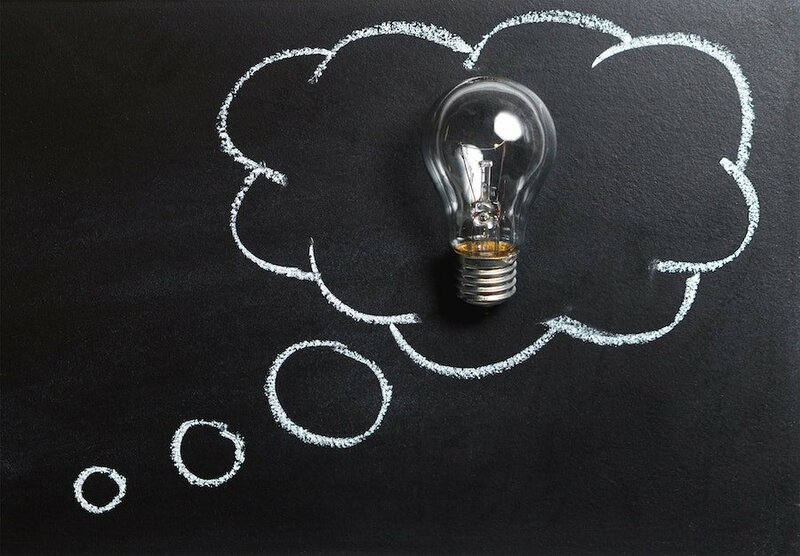 There’s a lot of research looking at the benefits of breastfeeding on intelligence and IQ which is one of the most commonly cited reasons for delaying solids introduction. A study from Denmark found that increased length of breastfeeding (up to 9 months) was associated with higher scores on intelligence tests in adults, while a study in Brazil found that being breastfed for up 12 months was associated with higher IQ, more years of education, and higher income compared to those breastfed for one month. Summarizing these findings, a systematic and critical review of the available literature concluded that breastfeeding promoted intelligence and improved performance on an intelligence test. The issue with all of these studies I mentioned, however, is that they don’t really answer the question of whether or not starting solids at 4 months or 6 months makes any difference in intelligence scores. 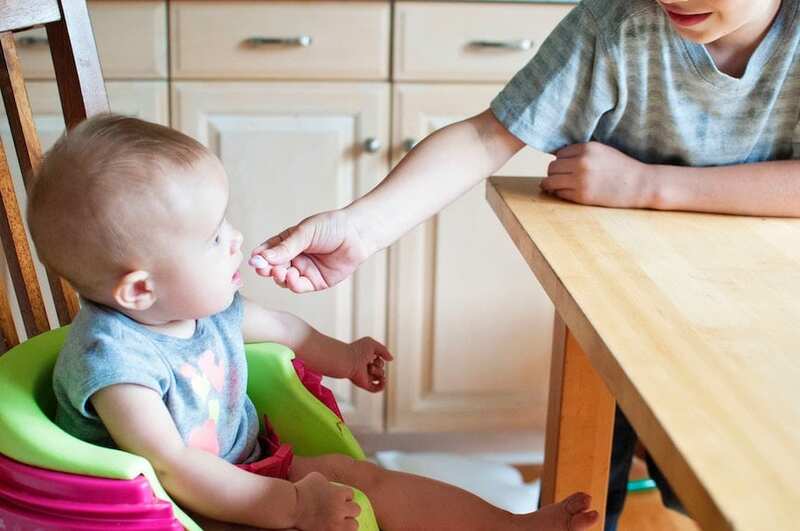 Ultimately when babies start solids, they’re taking in very little of their daily calories through food, and the assumption is that they will continue to drink milk at the same time, reaping the benefits cited above. Bottom Line: While there is no solid data on timing of starting solids and intelligence, it is generally understood that breastfeeding and increased duration of breastfeeding is related to increased intelligence. However, more research is needed to understand if the introduction of solids affects intelligence. A review by Naylor & Marrow concluded that most full term infants are not developmentally ready to be introduced to solids until the age of 6-8 months. Not surprisingly, introduction before a baby is developmentally ready increases the risk of choking. Bottom Line: While it’s possible that the majority of babies are not developmentally ready for solids at 4 months, it’s also possible that your baby is not even ready exactly at 6 months. 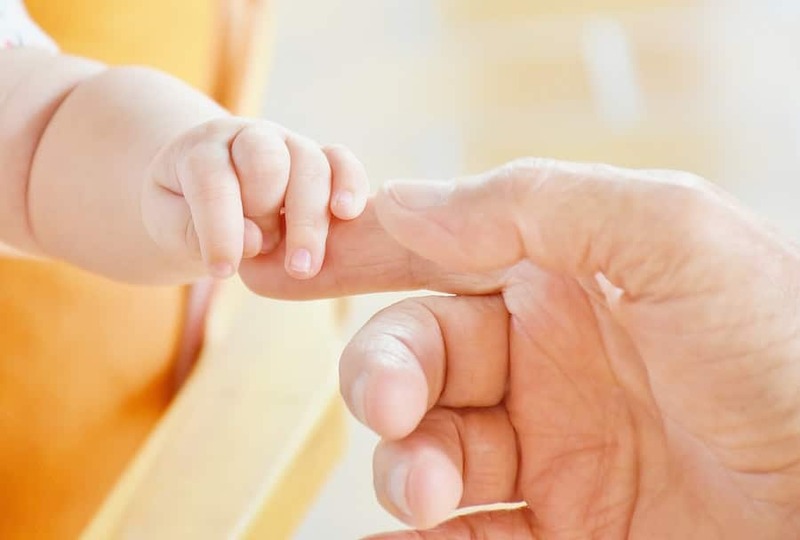 All babies develop differently, and what is more important than the calendar date is that they are demonstrating most of the common signs of readiness. A full term newborn’s gastrointestinal tract is mature and has the capacity to do most GI functions. However, there are issues in the digestions of proteins, fats and complex carbohydrates that can be enhanced by consuming breastmilk. Research suggests that breast-fed infants have less difficulty with gastroesophageal regurgitation (aka spitting up), better stomach emptying, and better waste elimination. This is one of the reasons why many experts suggest that exclusive breastfeeding helps support healthy gut function for the first 6 months of life. However, one of the big reasons I see cited online for delaying solids is that babies supposedly have a “virgin gut” that is “open” and susceptible to bacteria, toxins and allergens passing through. The theory, popularized by many online mom blogs, suggest that there are spaces between the cells in the intestine before the age of 6 months, and that foreign food particles can get through and wreak havoc on our little babes. The problem is there isn’t really any science to back this up. In fact, if this were true, we likely wouldn’t see the new guidelines for allergen introduction state that giving common allergens before 6 months may have some benefits. The reality is that the gut closure actually happens within the first few weeks of life, well before anyone is giving their baby solids, anyway. Bottom Line: Research indicates that breastmilk may help build a healthy digestive tract, but you don’t have to worry about baby’s digestive tract being “open” if you introduce solids slightly before 6 months. So if there are at least some potential some benefits to starting a bit before 6 months for some babies, why is the official recommendation to wait until 6 months? 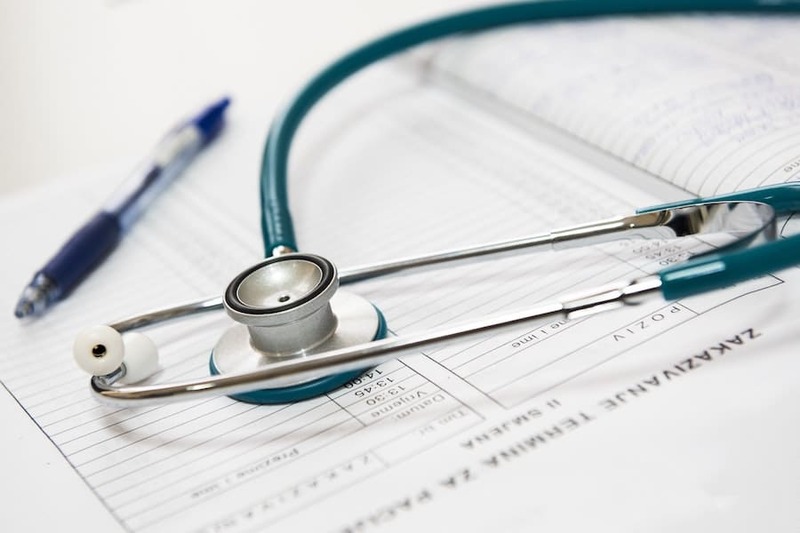 Recommendations from major health authorities such as the World Health Organization are meant for all countries including both developed and developing countries. In developing countries, specifically, breastfeeding longer helps with lactation amenorrhea and decreased GI symptoms, which are more important in regions with limited access to birth control and sanitation concerns. So What’s the Bottom-Line on the 4 Months Versus 6 Months Debate for Starting Solids? Here’s the thing. I think it’s really easy to look at all these potential benefits I’ve cited and think it FOR SURE makes sense to start early. I don’t want this to be such a clear cut answer because I do believe it’s highly personal and in a lot of cases, only makes sense to wait until 6 months. The reality is that breastmilk (or formula) is still much more nutritious then any solid food we can possibly give, and adding solids displaces that nutrition. When you do start solids – whether at 4 months, 6 months, or somewhere in between – understand that the vast majority of your baby’s nutrition should still be coming from breastmilk or formula. Solid food can just be the cherry that may be used in modest amounts for allergy prevention, motor skill development and fun. You don’t need to feel pressure that your baby needs to be eating full big meals as soon as the calendar says 4 months or 6 months. In summary, there is some contradictory evidence on the exact best time to start solids, with some concerns being addressed with slightly early introduction between 4-6 months (including allergies, type 1 diabetes, celiac disease and anemia), while others seeing some advantages to waiting until the half-year mark (like infections, and choking risk) and some grey areas (such as growth, intelligence, gut health and outcomes for mom). But while we know there are strong contraindications to starting solids before 4 months or well after 6 months, in a lot of cases, we don’t have a ton of great research to nail down the sweet spot between the 4 to 6 month range. So until we have more high quality research, this is really where working with a pediatric dietitian who can assess your unique situation and your infant’s signs of readiness will help you make the best decision for him or her. amazing! So important to be informed. Good luck to you Diana! This is so helpful as I consider when to start solids with my daughter. Thank you for laying it out clearly! This is a very informative post and so well-researched! I remember doing so much reading about that when my kids were babies.